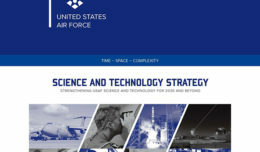 Using a cooperative research and development agreement, the Air Force Life Cycle Management Center, partnering with Northrop Grumman and Air Combat Command, has developed an innovative solution to the tricky problem of how to connect existing and future information gathering sensor capabilities, not currently designed for the Block 30 RQ-4 Global Hawk high altitude long endurance unmanned aircraft system, to link with the airframe system. Through the agreement, the ISR payload adapter was conceived and flown within seven months. The current Global Hawk Block 30 aircraft is capable of carrying systems such as the Enhanced Integrated Sensor Suite, Airborne Signals Intelligence Payload. These electro-optical, infrared, radar, and signals intelligence sensors enable remotely piloted aircraft to detect movements, assist with humanitarian operations, and find the enemy. Increasingly, current and future military RPAs use multi-intelligence sensor payloads to perform those missions. As the demand for capability increases and component technology proliferates it is very important that sensor information payloads be adaptable and flexible in design to allow increased ability and option of choices.